Hello, all here is Aviation Dreamer. Where you will get all types of help for your Aviation job search and aviation interview tips. 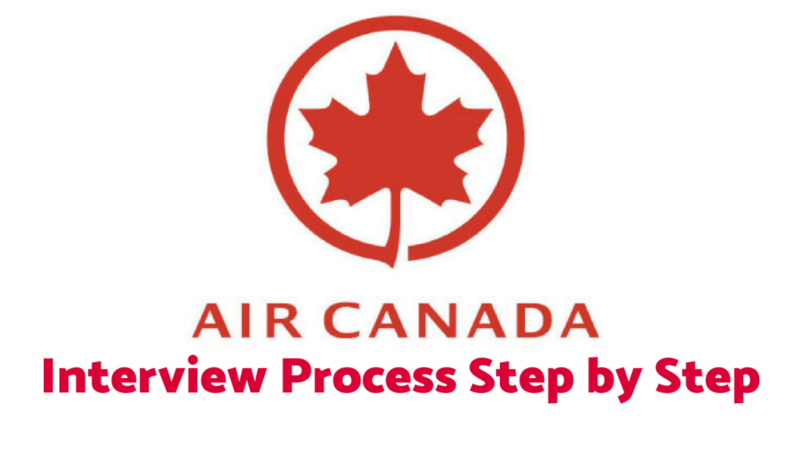 so today I will write on Air Canada Interview Process step by step. And it will help you to make your career in Aviation Industry. So, please read the article carefully. For all candidates wishing to apply for Air Canada Rouge as a flight attendant, some conditions must be met. Air Canada has listed the requirements that should be approved for your airline to be eligible to apply as a flight attendant. Once you have secured those requirements, you can start sending your application online. After this processing, fly rouge will review your applications and only selected candidates will be contacted for the telephone interview. As soon as your online application is considered, one of Air Canada’s talented recruiting teams will be in touch with you to analyze your resume. They will also assess their language skills (if applicable) and discuss their previous work experience. Telephone interviews usually take about 20 minutes. The selected candidates who pass the telephone interview will be invited to participate in the one-day personal interview with Air Canada Rouge. In this interview, many candidates will be asked questions. Discuss the benefits and challenges of working at Air Canada rouge. Face to face interview with an Air Canada rouge recruiter, which could take between 25 to 30 minutes. A presentation from current crew members of Air Canada rouge regarding their daily work life. The work challenges and expectations will also be presented. Salary, employment commitment and working as part of a union will also be discussed during the interview process. To know the Singapore airline cabin crew Salary and Benefits Click Here. So, I think I have mentioned all the important things to become a flight attendant. and I hope you will like this article and bookmark my website for future information.